Malls need stores, but what kind of stores? Back in the day, product managers who were trying to find stores to fill their mall with would go looking for the biggest national retailers. The reason that these stores were so desirable was that they came with the best credit (they would pay their mall bills) and they offered customers the most desirable selection of goods which would keep them coming back to the mall. Times have now changed. Many of the large retailers have encountered hard times and they are closing many of their mall locations. This leaves mall product managers with too much space and not enough stores to fill it. It seems like they are going to have to come up with a new strategy for filling their malls. What they have started to do is to look for retail stores that are lesser-known. They especially like startup firms that may have gotten their start online but are now looking to expand into physical stores now that they have gotten both customers and brand recognition. The reason that stores like this are starting to appear attractive to mall product managers is because they are the ones who can offer novel products that will appeal to those hard-to-reach web-savvy customers. This group includes the enormous group of millennials that every mall owner is dying to get to visit their mall. What makes some of these stores novel is that they don’t actually carry any inventory. Customers who select an item to purchase will end up having their products delivered to them or they can return to the store later on and pick up their products. One of the advantages of operating these types of stores is that they take up less square footage and therefore cost less to operate. The reason that mall product managers are now willing to allow stores like these to occupy space in their malls is because the nature of retail is undergoing a fundamental change and they still need to look good on their product manager resume. However, a customer’s need for new and unique products is unchanged. Mall product managers realize that many of the digital brands are doing a better job than traditional retailers at understanding what is driving customer sales and how to go about marketing products in the 21st Century. In the past, there were multiple reasons why such stores could not get space in a mall. The mall product managers had concerns about how long they were going to be in existence and if they knew how to operate a mall store correctly. This has all changed and now mall product managers are using lower mall rents to attract online retailers. This new way of filling a mall with upstart stores comes with its own unique set of risks. When mall product managers go after younger retailers they need to understand that these tenants have much shorter track records and just might end up going away overnight. However, the people who study malls believe that the mall product managers are doing the right thing. The retail industry is undergoing significant changes and now is the time to take these kinds of risks. Mall product managers need to discover ways to deal with online shopping and changes in consumer preferences. Back in 2012, the volume of physical stores that were occupied by retailers who started online was 15,435 square feet. This past year it had grown to 140,209 square feet. This is based on a study of 22 online retailers who had stores in the country’s top 300 enclosed malls and lifestyle centers. This number still only represents 0.05% of the occupied rentable building area of these malls. These new types of customers are not the same as the traditional customers that mall product managers are used to dealing with. The leases that they are able to reach with these new mall residents tend to be at least one year. It’s important to note that this separates these types of stores from the pop-up stores that are generally dedicated to a regular rotation of new retailers. 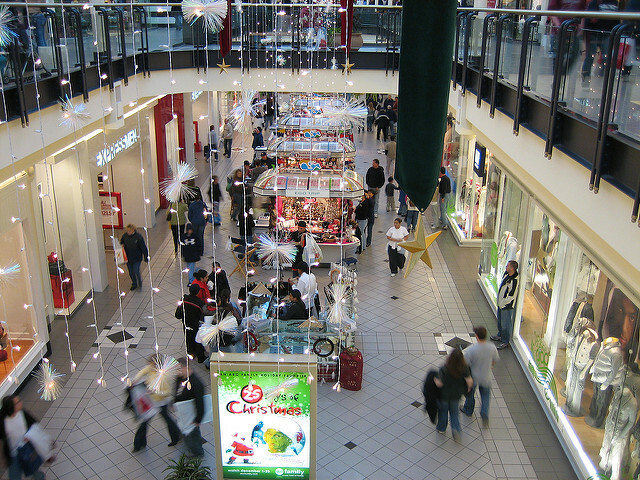 Product managers understand that who they have in a mall can have a significant impact on the value of their property. The real estate value of the mall will increase if a mall product manager is able to get the newest, most interesting, and most unique brands. However, mall product managers do not have these new types of stores falling over themselves to get into their malls. Instead, the mall product managers have to work to attract them. The new stores are picky about where they open a new store and like to be in markets where they already have online customers along with potential new customers. When choosing malls, these new stores choose class-A malls in cities with large populations and which have higher incomes. One of the main motivations for these stores to open physical locations is that is can minimize the costs of both shipping products to customers and accepting returns from customers. Mall product managers used to have it easy according to their product manager job description. They would build a new mall, go out and find some the largest national retailers, add a few well known smaller national brands and all of a sudden they had a full mall that would attract customers. However, things have changed and people are doing more of their shopping online and the large retailers have been pulling back and leaving a lot of malls. This means that mall product managers have had to start to get creative in how they go about filling their malls. Mall product managers are now looking for stores that got their start online. Having built up a recognizable brand and gaining enough customers, they have decided to open physical locations. These are exactly the kind of stores that will help the mall product managers attract the web-savvy customers and the millennials. Mall product managers had been concerned about how long these new retailers were going to remain in business. However, now that they have shown that they have a good understanding of what modern shoppers are looking for, mall product managers are using low rents to attempt to attract them to their malls. This new breed of retailer used to only occupy a small part of the available mall space. However, it has been steadily growing. There is a lot more space for them to expand into. These stores do not necessarily seek out mall product managers. Instead, mall product managers have to go out and find the retailers. The retailers are looking for malls that are located close to their existing customers and will open the doors to more customers who have money to spend. The job of a mall product manager has undergone a dramatic transformation in the past few years. Their primary customer, large retail chains, have fallen on hard times and many have left the mall. This means that new online retailers have to be found to take their place. Mall product managers are doing a good job of replacing the tenants that they have lost with online startup firms. Now all they have to do is to make sure that customers know what exciting stores their malls contain so that they will start to visit the mall more! Question For You: Do you think that there is a correct mix for legacy retail and new online retail at a mall? So let’s talk about email for just a moment. If you are like me, you get a ton of the stuff. In all honesty, most of it is junk and I just end up deleting it even before I read it. However, there are those one or two emails that just happen to catch my eye. I’m in the market for something and that email seems to be talking about what I know that I’m looking for. When this happens, and it doesn’t happen very often, I will open and, gasp!, read the email. It turns out that retail product managers are currently not doing a very good job of getting me to open the emails that they send me. What’s up? Product Managers Want To Know: Why Do Malls Fail? Can 7–11 Product Managers Make People Visit Their Stores More Often?